Spanish lighting manufacturer Luz Difusion have created the Struk lighting collection. 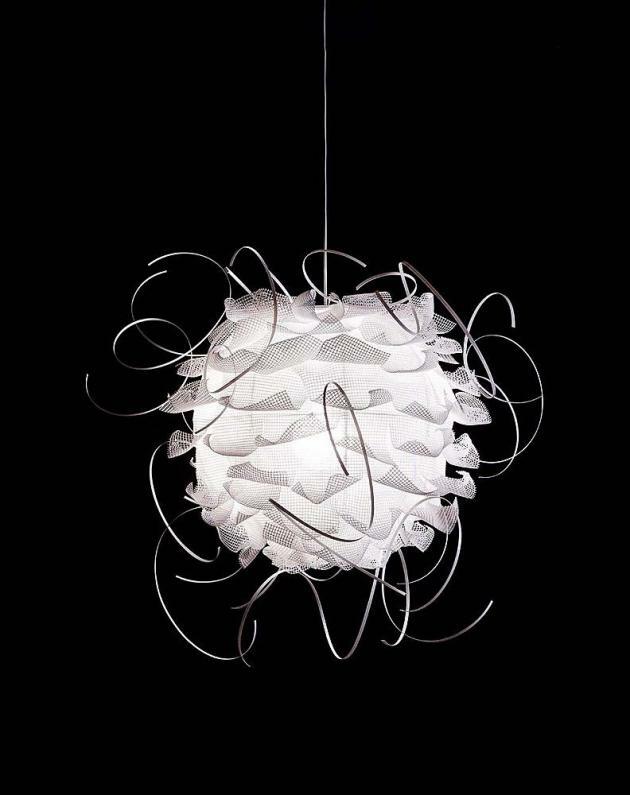 Struk is a lighting fixture made of a steel round structure covered by pieces of white noninflammable polyethylene mesh and plastic strips in white colour too. This collection has a suspension, ceiling and wall version. The designer is Ricard Estruch. Influenced by arte povera, artistic movement born in Italy at the end of the sixties, means literaly “poor”. This movement used to introduce not very common materials –from industry, organic origin or common use- to make tridimensional pieces. He works in Barcelona. Visit the Luz Difusion website – here.